Have I told anyone lately that I am loving my new Instant Pot? I was intimidated at first by the thing, but I am so glad that I dived in and starting using it. 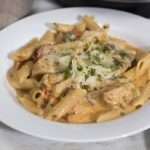 For dinner the other night we made this Instant Pot Creamy Cajun Pasta with Sausage and Chicken and it was a total hit. 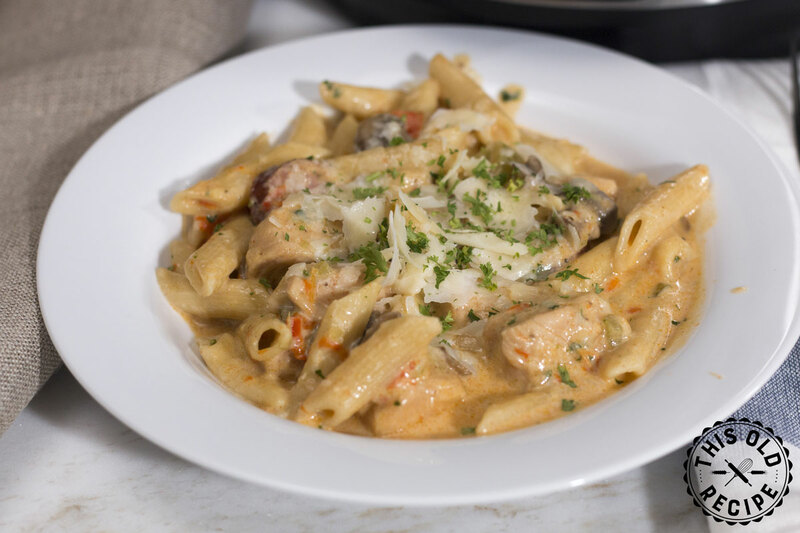 Its a heavier meal, perfect for those cool winter nights. Took about 25 minutes to get this made and it turned out great! If you like mushrooms, I recommend putting more in than this recipe calls for. Turn on the Instant Pot to the Sauté function. When the display reads HOT, add the oil and butter. Add the sausage and chicken breast and cook for 3-4 minutes, stirring occasionally. Add the onion and celery. Cook until onion starts to turn translucent. Add the garlic, Cajun seasoning, smoked paprika, and mushrooms. Cook for 1 minute, stirring constantly. Add the red bell pepper and chicken broth. Stir. Let come to simmer. Add the pasta and make sure it is submerged. Then place the lid on the pot and lock into place. Set the steam release knob to the sealing position. Cancel the Sauté function. Press the Pressure Cook/Manual button and set for 5 minutes. When the pressure cooking cycle has ended, turn off the pot (or press Cancel) and do a Quick Release of the pressure/steam. Start slowly to be sure only steam comes out, and then fully release it. 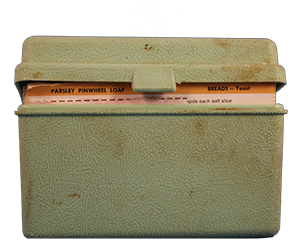 When the pin in the lid drops back down, pressure has fully released. Open the lid and stir. Stir in the parmesan cheese and let it melt. Let sit uncovered for a couple of minutes to thicken up. 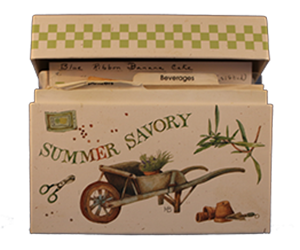 The Applesauce Cake recipe in the header of this site is from the recipe box of Nolda Brewer Jones.